The Kirk Center’s University Bookman recently published a review of J.R.R. 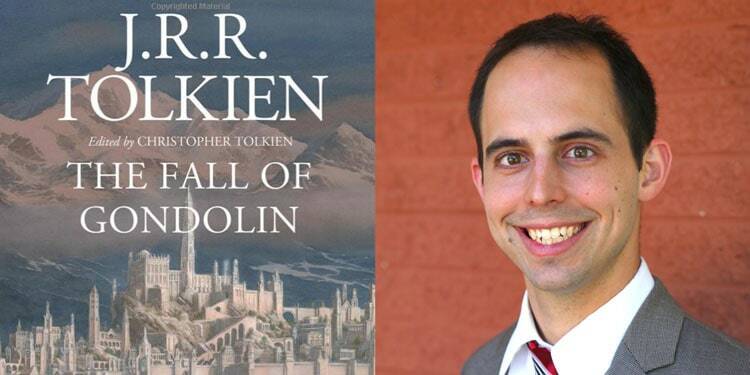 Tolkien’s The Fall of Gondolin by Christendom College’s academic dean and English language and literature professor Dr. Ben Reinhard. Calling it the “most satisfying” of the recent Tolkien “Great Tales” released since his passing, Reinhard also digs into Tolkien’s literary career, providing a fascinating look into Tolkien’s evolution into the literary legend he is today. Book cover art credited to Amazon. Reinhard is an expert in Medieval English literature, which, among many other topics, he teaches at Christendom. His vast literary knowledge comes through clearly in his review of The Fall of Gondolin, as he ties earlier versions of the story to the works of Homer and Virgil. Gondolin contains multiple versions of Tolkien’s “Great Tale,” with Tolkien’s debt to classical models becoming more and more obscured as the versions evolve, according to Reinhard. As this happens, Tolkien’s literary style becomes more clear and powerful, growing into the masterful prose that readers are familiar with today in The Lord of the Rings. The review is Reinhard’s latest work to find publication, after previous publications in the Old English Newsletter and English Studies. Christendom’s faculty are highly sought after for their academic knowledge, with their work being published in First Things, The Review of Metaphysics, The American Spectator, the Journal of Ecclesiastical History, Cambridge University Press, and other such outlets. In addition, multiple faculty members have written popular books, including Dr. Timothy O’Donnell’s Heart of the Redeemer, Dr. Christopher Shannon’s The Past as Pilgrimage, and Dr. Adam Schwartz’s The Third Spring. Read the full review from Reinhard here.